Pin It Now! Once there was a kid who dreamed of castles and wished that she would be able to see them by 30. For many, the European dream would always be just a dream. I had-for the longest time dreamed about going there. I have seen friends who had jobs that enabled them to go to Europe while I was stuck here in the Philippines trying to find a way to be able to go there. Nevertheless, God gave me the chance to finally be able to achieve my dreams of going to my fairy tale land-Europe. For this trip, I only applied for a 8-day single-entry visa to minimize cost at the same time it was the maximum number of days the rest of the family can spend since most of us are working and only have a limited number of vacation leaves but was granted a 10-day single entry visa. I have always wanted to go to Prague, Czech Republic. It was for me-the perfect example of a fairytale town with its cobbled stone streets, a grand imposing castle on top of the hill, red-tiled roofs and buildings with Gothic spires. This is why we applied for our visa at the Czech Embassy in Manila. The Czech Embassy grants Schengen Visa in just five days. "I intend to travel to Prague, Czech Republic from April 14, 2016 to April 22, 2016, and would therefore like to obtain a Schengen travel visa. The purpose of my trip is tourism. I would be visiting your country with my family. This is a belated 30th birthday present for me and an advance 30th birthday present for my sister from our parents. I am looking forward to experience the food, sights, and people, which I have come to discover through various books that I’ve read and seen on documentaries. It has been my dream to visit your beautiful country with history that has fascinated me over the years." For my father who was unemployed, I submitted copies of certificate of land titles and indicated that the trip would be financed by us. 10 days we made the most out of it with our final Itinerary as Prague-Vienna-Prien Am Chiemsee and Munich. Though we changed the IT, the principle of spending the most number of days in Czech Republic was still followed. 1.Where are you going and what's the Itinerary? 2.Was my flight a direct one? 3.How long will I be staying? 4.Am I travelling with other people? Then they got my biometrics and then when it was my family's turn they weren't asked questions. I guess I was able to answer for them already. After 5 days, the embassy called that the date on my insurance was wrong. I panicked but then they reassured me that I would be granted visa provided I email them a new copy of my insurance policy. After two weeks, we got our Visa. From the racks of F21 (PHP400+), I got my knitted poncho, embroidered velvet shorts from Mango (on sale), red infinity scarf and red belt from SM Department Store my blouse is an old one from L&M. Since we were arriving in mid-April-it was spring time but the temperature varies from 6-13 degrees. It was a good thing that when we applied for our visa in February in Manila, a lot of shops were on sale. I was able to buy a Desigual Trench(heavy coat) for 50% off. Try checking out boutiques like Promod, H&M and Mark's & Spencer for sale. Uniqlo should also be in the list too though at that time there was no sale. My mother bought a lot of thermal underwear from M&S but then when we went there the air was really chilly and somehow the thermal shirts she bought didn't really protect her from the cold, she should have bought heavy coats like fleece and knitwear. I on the other hand, instead of buying thermal underwear, I opted to buy body shapers from Triumph which were on sale at that time. Though sleeveless, It worked better for me because the material was so tight, the chilly air was not able to penetrate through. Plus, you can use them for other events in the future. Even if I was only wearing a knitted sweater I didn't get that cold but it also depends on the person though. 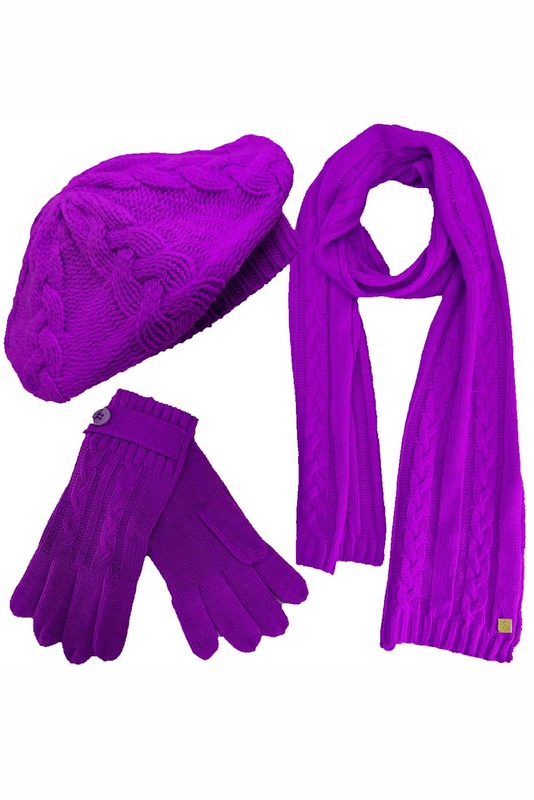 Scarves, gloves and hats are essentials. European women wear a lot of scarves. It is not only a fashion statement but it does provide you protection from the cold. Though a lot were not wearing gloves, I opted to keep a pair in my bag or pocket when it gets gold, I wear the gloves and it kept me warm as well. Hats are also there to protect your head, I managed to catch a flu when I was there because I did not wear a hat. I bought some cute berets on the trip. Lastly, while researching, I found out that most European women dress up. This means that if you wan to fit in, might as well follow the fashion. I noticed European women, wear a lot of blacks and also rarely wear denims. This is especially true in Vienna where almost everyone women I see were dressed smartly. Most of them wear skirts with dark tights. For a lighter baggage, I bought pairs of thick tights from M&S for PHP800 (3 pairs). In Europe I wore two tights a day or if I were wearing jeans, I wear tights underneath to keep me warm. Jeans can be heavy on your bag so you can opt to bring tights instead and skirts or skorts (denim shorts is a fashion faux pas). Bring at least 2 comfortable walking shoes preferrably with thick soles because walking on cobbled streets can hurt your feet. Try walking shoes from skecher's, some are lightweight with memory foam.Though I dressed up-I still can't take my personality off-and dressed up in colors but as you can see some asian tourists still stand out for dressing up in dizzying combinations of various colors-nothing really wrong with that except you are susceptible to being approached by men who peddle stuff on the street or pickpockets. mean that if the weather is cold, you're exempted from UV rays. Speaking of pickpockets, I was able to read a lot of warnings especially in Prague. I got a bit scared and bought an anti-theft travelon bag as well as moneybelts which turned out to be useless. The anti-theft bag was so heavy for me, because it was already heavy all by itself, how much more when I carry an extra telephoto lens in it. The wire mesh or cable wire in the strap was torture to my shoulders. After 4, days I managed to switch to a Picard bag at 70% off sale in Prague (with an additional tax refund at the airport). A regular crossbody bag would do for this trip. All in all, if you exercise caution in Prague like the way you exercise caution in Manila-you'd be okay.For packing, keep it light. We decided to bring a backpack and a small-sized trolley bag. Since we were hopping on and off trains, it was better to have trolley bags. The only mistake we made was the size of the trolley bags-should have bought with us medium-sized ones. I was worried that if we were to check-in bags at the airport, we might lose our luggage but Lufthansa was very effective in handling luggages so it shouldn't have been the case. Since our trolley bags were smaller, the tendency was that our backpack was a bit heavier for the other extra things. So if we had medium-sized bags, our backpack would have been lighter. Avoid bringing big-sized trolley though, you will have a tough time storing luggage in trains or even in lockers at the train station. The secret is to pack light. If you are scared of being criticized of taking pictures with the same outfit-the best way is to mix and match scarves and hats with black coats Also, do not forget to pack an umbrella, a small foldable one that you can keep in your bag would do. With all of this, you're ready for your adventure!